Safely into June, it’s an apt time to look back at the Spirit of Speyside 2017 incarnation and consider the highlights. Perhaps as a group our merry Tormore band is just fortunate, as year-on-year everything we select in advance is eventful and memorable. Needless to say the company and the experience follows suit. 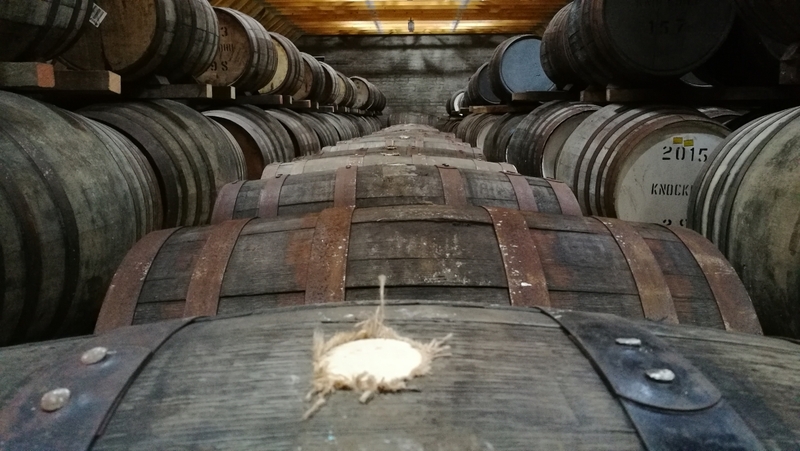 For 2017, we were extremely lucky to have the assistance of the festival organisers who put us in contact with anCnoc who laid on a manager’s tour of the modest yet perfectly formed Knockdhu distillery. More widely known today as anCnoc, regulars will note that I appreciated the distinctiveness of the recent Cadenhead 10-year-old bottling from this distillery. Full of signature traits, it wasn’t for everyone and represented a welcome detour from more approachable Speyside malts. Plus, you just don’t see much Knockdhu bottled independently and it’s always full of character. It was a glorious Friday morning on Speyside as we returned to the carpark opposite the picturesque Strathisla distillery. Waiting for us was Speyside Executive Hire who had kindly offered to ferry this trio of renegades for the afternoon. Knowledgeable and well versed in whisky, it was good to touch base with locals about the Festival and their obvious pride in whisky. 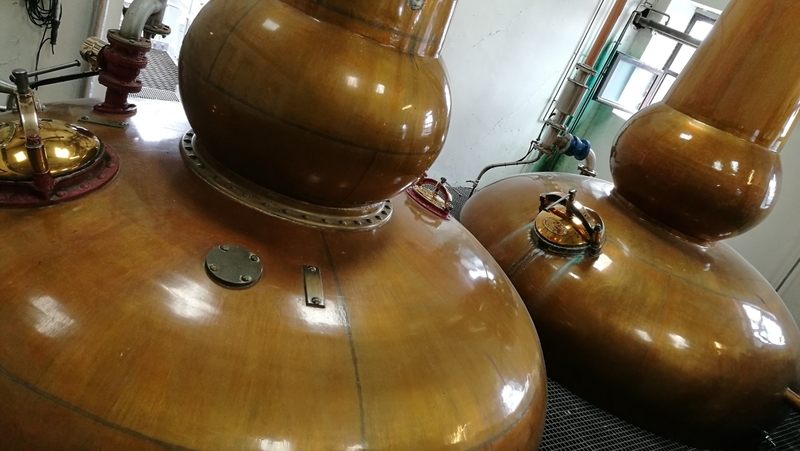 Leaving Keith, we headed along country roads to Knockdhu distillery, which still has a remote perspective being set in picturesque farming environment and down a traditional country lane. This was the first time for any of us at the distillery and immediately stepping out of the car, you were faced by a very traditional looking frontage. The distillery dates from 1894 and is near the village of Knock and sits in the shadow of Knock Hill, which in Gaelic means anCnoc. You’ll have noted I’ve referred to the distillery by both names as it wasn’t until the 1990’s when it was rebranded to avoid confusion with Knockando distillery. Neither are particularly close together and from speaking to the staff during our visit, they still get the odd delivery for Knockando. Immediately there is a sense of tradition gazing upon the site and that little has changed here since 1893. Although that’s put in perspective as most of the modern enhancements are around the back, but clearly there’s been some thought given to retaining Knockdhu’s appearance. A warm welcome awaited us in the small lounge area from the staff, who all seemed to enjoy working at the distillery so much that the manager revealed he has problems sending them home at the end of the day. There’s a community vibe and sense of pride that was underlined by the photographs on the walls and a well-made cup of tea for this long suffering Tormore4 member. The distillery manager is Gordon Bruce and he is a remarkable character. Extremely knowledgeable about whisky and anCnoc but also full of stories of bygone days and captivating with his hands on approach. He’s extremely resourceful as if something was showing signs of wear or requiring repair, Gordon more than likely would be able to do something about it. This inventiveness fed into the tour itself as the whole experience was unscripted and no questions were out of bounds. We circumnavigated the distillery and ventured into the old maltings and kiln area, where various historical items were on display. This tradition may have been lost at many sites today including Knockdhu, which was rebuilt partially in the 1960’s to increase production. 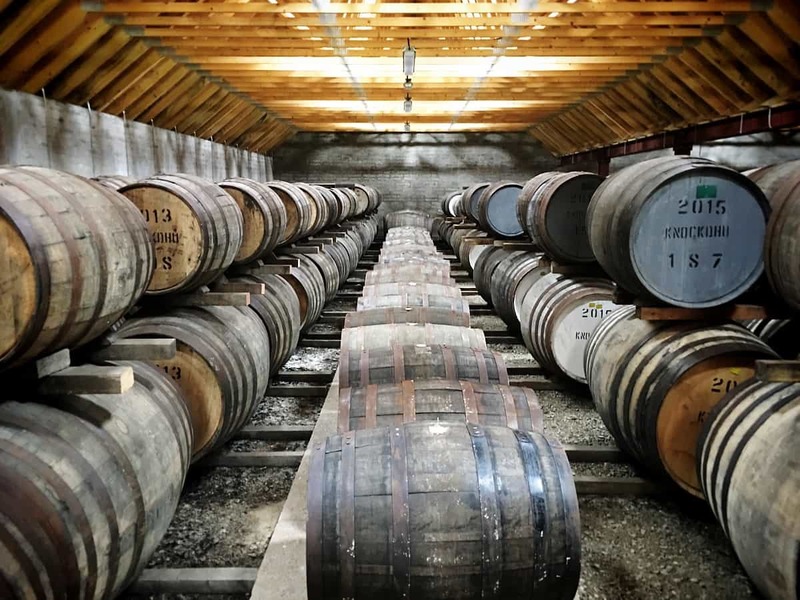 The distillery was closed in 1983 as part of the widespread industry cull due to a fall in demand for whisky and the problem of overproduction. Thankfully, it was acquired by Inver House in 1988 who set about reviving the distillery and establishing a single malt presence of its own. This came about in 1990 with the first Knockdhu bottling that is rarely seen nowadays before the switch to anCnoc. A couple of acquisitions later and the distillery is now with International Beverage Holdings, who are owned by ThaiBev. 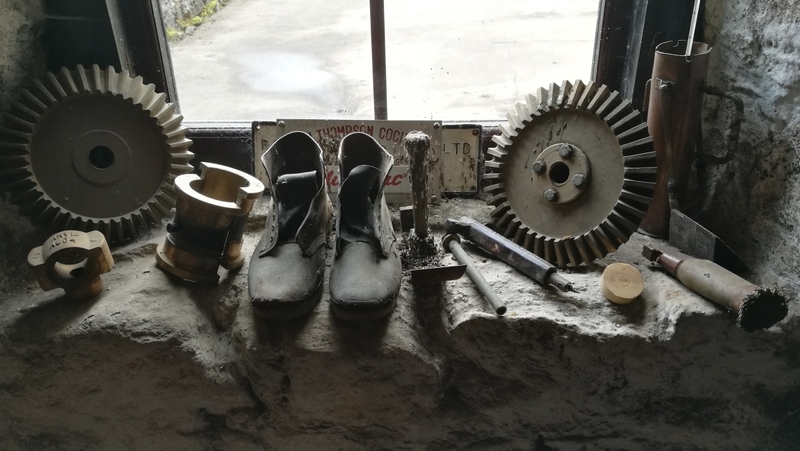 It seems a good situation for the distillery team who are left to get on with what they do best which is creating whisky and entertaining guests. 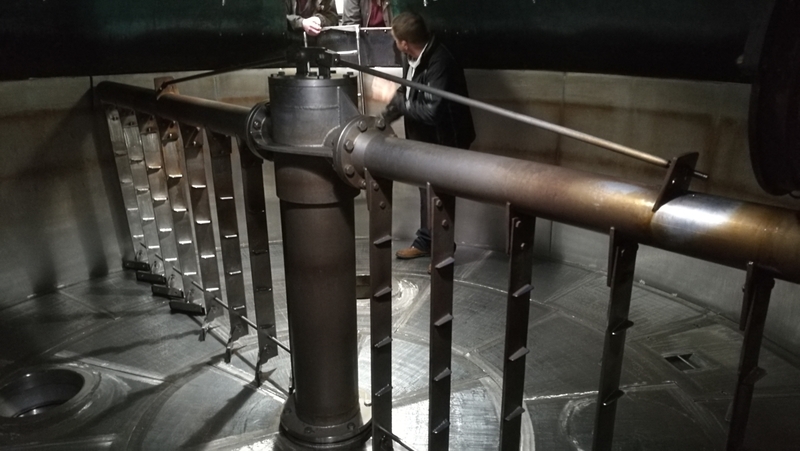 A lengthy chat ensues around the stills then takes us up into the rafters of Knockdhu where we see the worm tubs in action. I’m a huge fan of these traditional coils that help anCnoc produce its robust and distinctive spirit. Condensers are not left out of the equation, as we’re taken into an outbuilding to see a defunct example up close. A remarkable piece of distilling machinery; another first for this member. Then, my highlight of any tour remains the warehouse, where we discuss current stocks and plans for a visitor centre. Some of the original warehousing is currently unusable but hopefully can be saved and retained for future generations to experience. Then Gordon takes us back to the lounge area where it all started. Here we meet Festival visitors who’ve just enjoyed a standard tour and are joining us for a tasting with the manager. There’s a diverse cluster of nationalities including visitors from America, Brazil, Malta and more besides. What I anticipated would be just a couple of bottles soon turns into a widespread trek across the anCnoc range with generous pours and no rush to ship us out of the door. In reality, I believe we’ve discovered that appeal that many staff members display, who just don’t want to leave. Listening to the stories of these international visitors who find themselves on Speyside for the festival is inspiring and confirms the international reach the festival is now enjoying as it continues to grow. With some of the bottles available at special prices, the ultimate validation comes with several purchases by the guests before they depart for their next Speyside adventure. A cash only affair, we’re faced by the passionate cries of Tweedlord regarding the 24-year-old, but we’ll come to that later. Having to drive the last leg of the trip from Keith to our remote cottage, I squirreled away samples for a later time and this means we can finish this experience with 4 whiskies from the anCnoc. Bottled at 40% strength this entry level offering will set you back around £35. Nose: very light arrival with vanilla and a buttery caramel. Floral to some degree followed by icing sugar and a chamomile tea element. Apples and a twist of lemon wrap up a distinctive nose. Taste: there’s just enough flavour here despite a watery aspect midway and a finish revival. Prior to this is an emphasis on barley, apple and vanilla features with a biscuit presence assisted by a wisp of smoke. Overall: a solid start that’s very inoffensive and will find appeal with many, its ok but doesn’t do much for me personally. The Cadenheads 10-year-old had a real presence and punch, whereas this one feels a pale imitation. Bottled at a higher 46% strength, this whisky features a mix of American ex-bourbon casks and European ex-sherry casks. Expect to pay around £70 for a bottle. Nose: more of those barley notes but with a hint of mint freshness. A rich caramel and stewed apple follows before a walnut whip assault with nuts, chocolate and vanilla cream. There’s marzipan as well and more spicing. Taste: now this is more like it! A surprising sugary sweetness upfront that dissolves into caramel, green apples and is underpinned by a layer of smoke. True precision and yet effortless balance on display. There’s the vanilla and biscuit nature of the 12-year-old but less apparent, replaced by a density and confidence – again taking me back to the Cadenheads release. Overall: what was the song again? Oh yes, truly scrumptious. Upping the sherry influence of the 18-year-old, this is also bottled at 46% strength and will set you back around £120. Nose: a medley of dried fruits, maple syrup and toffee pecans herald a strong arrival. Traces of milk chocolate, plump figs and caramelised apples. Beyond this joyous sticky blackberry jam sweetness resides spicing with Szechuan pepper, cloves and wine gums. Taste: initially it’s more of the spicing that comes through with a delicate lightness before the fruits reengage with apples, apricots and dried oranges. There’s a hint of smoke amongst the layers and elements of fine Christmas cake. There’s a subtle flow to all of this with the flavours being juicy rather than pungent, restrained rather than forceful. Overall: another lovely whisky somewhat older than its years suggest in terms of style and character. I actually had to sub Twee Lord who wanted to purchase a bottle of this yet found himself travelling again without cash. After the acquisition he was in raptures about the contents for what seemed to be an eternity. If you’re quiet for a second you’ll probably hear him still going on about this bottle. It’s an impressive core release reminiscent of the Tormore Tel Aviv Whisky Live bottle I had recently that is an incoming review. 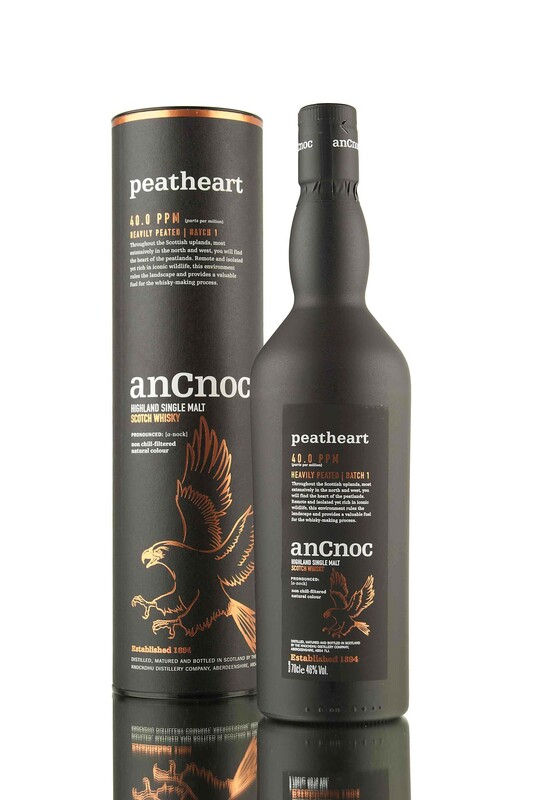 Released in 2015 and bottled at 46% strength, this peated AnCnoc is around 20ppm and has sold out since. Nose: a gentle vegetative arrival with a light saltiness before almonds, fennel and a trace of mint all linger. Freshly spun candy floss and tablet emphasise the sweet peat on display. Unlike Aisla Bay it feels a more natural balance. Taste: an earthy arrival that suddenly dissipates into a watery texture. It feels heavy weather given the promise of the nose. Charcoal, some smoke and a pungent brine with hot dogs. Overall: so far my least favourite of the bunch, this one doesn’t really achieve the peat experience and it steps away from the core AnCnoc character, leaving us with a soulless hybrid. There are other anCnoc bottlings offering different levels of peat that I have enjoyed, but not so much this one. Ending on a sour note isn’t ideal but generally the standard of whiskies from anCnoc is above average and it must be said attractively priced. The distillery itself is well worth visiting for a distinctive and memorable experience. Another stunning experience during our festival weekend. Our thanks to the team at anCnoc for being such wonderful hosts and the Spirit of Speyside Festivalorganisers for allowing us to return for 2017. I am intrigued about you name for the whisky. anCnoc. 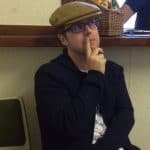 What is the pronusation? My immediate thought would be..annSEEknock!! !